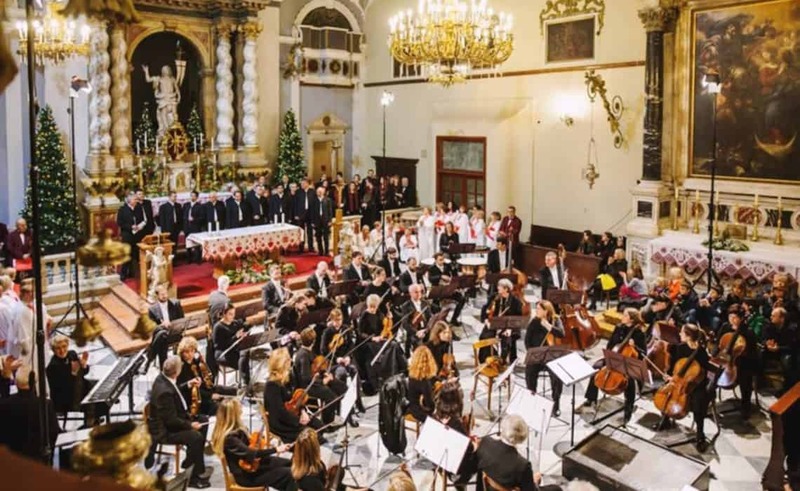 Traditionally in December the Dubrovnik Symphony Orchestra organizes many concerts for all Dubrovnik citizens and guests. The first of these concerts took place on Tuesday, December 5th, marking the day of the feast of St. Nicholas and the Day of the Defenders of Dubrovnik, and it will take place in the Dubrovnik Cathedral beginning at 8 pm. The Dubrovnik Symphony Orchestra and Dubrovnik Chamber Choir will perform and the concert will be conducted Franko Krasovac, with soloists mezzo-soprano Renata Pokupić and baritone Marin Čargo. Program includes Beethoven’s Marchia Funebre from Symphony No. 3 and Duruflé’s Requiem, op. 9. In cooperation with the Rotary Club Dubrovnik, on December 14th, the traditional Christmas concert will be held. This concert has a humanitarian character and numerous artists such as clarinetist Marija Pavlović, soprano Sara Žuvela, the klapa multipart singing groups Kaše and Subrenum, as well as the Dubrovnik Symphony Orchestra, under the direction of conductor Marc Tardue, will perform some of the most beautiful Advent and Christmas songs. The concert will take place at the Dubrovnik Cathedral beginning at 8 pm. As a part of Dubrovnik Winter Festival, Dubrovnik Symphony Orchestra organizes great Christmas Concert on 22 December at Hotel Valamar Lacroma, veginning at 8 pm. Many artists will perform with the DSO: tenor Đani Stipaničev, tenor Stijepo Gleđ Markos, soprano Marja Kuhar Šoša, klapa multipart singing groups Kaše, Subrenum and Ragusa, singer Maja Grgić and young Dapal band. Info about the tickets available at +385 20 417 110. The traditional Christmas concert that has been held annually since 1991 on the same date will again be held on 27 December at Fransican Church, beginning at 8 pm. Dubrovnik Symphony Orchestra with local choirs, soloists and klapa multupart singing groups will perform the most beautiful Christmas songs. The entrance is free. The New Year cannot begin without music either – on Monday, Januay 1st, exactly at noon, the Dubrovnik Symphony Orchestra will perform under the direction of conductor Ivan Josip Skender, with soprano Nikolina Pinko. Program consists of popular waltzes, polkas and opera arias. For more information about the concerts, please contact directly Dubrovnik Symphony Orchestra at +385 20 417 110, sales@dso.hr and +385 91 613 7314.